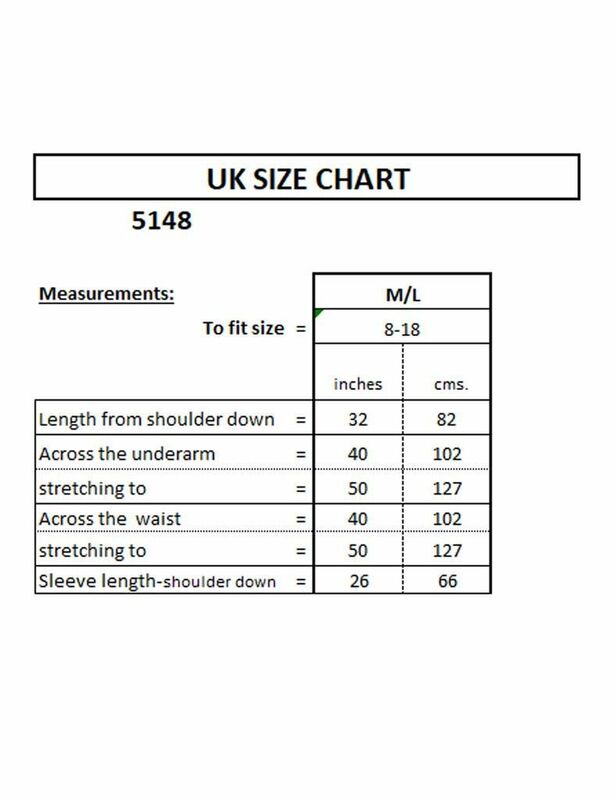 This is a one size garment (note- these have a size label, but are one size). The fabric is soft and stretchy, with a fluffy feel. The front has popper fasteners and 2 pockets. The sleeves are long to be rolled up.